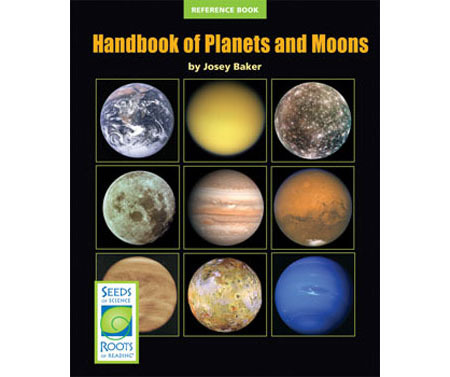 Handbook of Planets and Moons is a reference book that provides information about eight planets and various moons. 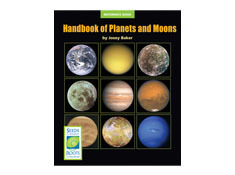 Each entry describes the object’s location in the Solar System, as well as its orbit, composition, and surface features. Close-up photographs show the surface of the planet or moon in detail. Each entry also includes some information about the exploration of the object. Data tables provide key facts at a glance. This book supports students’ firsthand investigations by providing essential information that students will refer to throughout the unit.